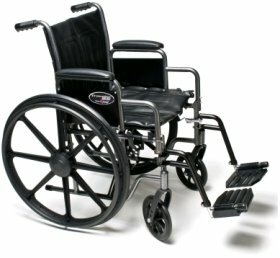 The 18" Traveler Wheelchair has full armrests and elevated footrests. A beautiful and reliable wheelchair. * Overall chair width: 26 1/2"